You don’t have to go out to dig into a delicious meal this Valentine’s Day. You can prepare a flavorful meal right in the comfort of your own home! Take a look at these easy-to-make recipes and pick up the ingredients you need for a tasty dinner. Start things off with a fresh Valentine’s Day salad. Here’s what you’ll need: Salad greens, 1 avocado (peeled and sliced), 10 strawberries, 1/2 cup of chopped pecans, 1 teaspoon of lemon juice, 1 tablespoon of cider vinegar, 2 tablespoons of olive oil, 1 tablespoon of white sugar, and 4 teaspoons of honey. Step 1: Take a small bowl and whisk together the sugar, honey, vinegar, lemon juice, and olive oil. Step 2: Next, place the salad greens into a large bowl and place the sliced avocado and strawberries on top. Then, drizzle the dressing over the top of the salad and sprinkle pecans on top. Finally, refrigerate the salad for a couple of hours and serve. Prepare a flavorful beef tenderloin as your main dish. This meal is quickly prepared and easy to cook. Here’s what you’ll need: Two 4 ounce beef tenderloin steaks, olive oil, sea salt, and pepper. Step 1: Begin by preheating your grill to high temperature. Then, place the beef tenderloins into a bowl. Add about two tablespoons of olive oil and a plentiful dose of salt and pepper on each side. Step 2: Next, place the steak on the heated grill and sear each side for 6-7 minutes. (The internal temperature of the tenderloin should read about 145 degrees for medium-rare). Step 3: Remove the steaks from the grill, place them on a plate, and cover with aluminum foil until you are ready to serve. Fill up on hearty sides with this tasty meal. These Brown Butter Mashed Potatoes are sure to pair nicely with this meal. Here’s what you’ll need: 2 1/2 pounds of potatoes (chopped into hearty pieces), 6 tablespoons of butter, 3/4 cup of buttermilk, fresh chives, salt and pepper to taste. Step 1: Peal the potatoes and boil them in salted water until they are tender. This should take about 20 minutes. Then, drain the water from the potatoes and allow them to cool. Step 2: Begin to prepare the brown butter by adding the butter to a sauce pan. Then, heat it over medium temperature. Once heated, whisk the butter as it is melting. (Be sure not to allow it to burn). Step 3: Mash the potatoes and the buttermilk together with salt and pepper. Then, add half of the browned butter into the mixture and mix it together. Step 4: Place the mashed potatoes on a serving platter or into a bowl and pour the remaining brown butter on top. Finally, garnish with fresh chives and serve. Finish off this course of your meal with a unique side dish. Shrimp and Corn will definitely do the trick. Here’s what you’ll need: At least 10 large shrimp, 2 cans of corn, 1 diced tomato, 1 chopped red bell pepper, 2 tablespoons of chopped cilantro, 1/2 of a medium onion (chopped), 1 teaspoon of chili powder, juice from 1/2 of a lime, 1/2 cup of tomato butter, and olive oil. Step 1: Heat a tablespoon of olive oil in a large skillet. Next, drain the water from the cans of corn and pour the corn into the heated skillet. Step 2: Afterward, add the tomato, red bell pepper, and onion to the pan. Cook for about 5 minutes, stirring occasionally. Step 3: Add in the cilantro, chili powder, and lime juice. Then, stir and place the corn onto plates for serving. Step 4: Toss the shrimp with a bit of olive oil and place them on skewers. Then, grill the shrimp over high heat until they are fully cooked. Step 5: Remove the shrimp from the skewers and toss it in tomato butter. Finally, serve atop the bed of corn. 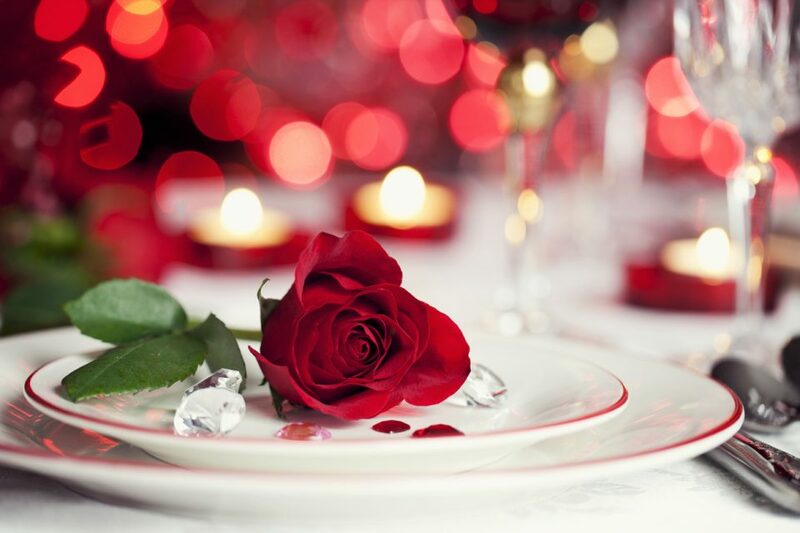 Your Valentine’s Day dinner is complete without refreshing drinks and decadent desserts. Here are a few recipes to consider. Now, you’re ready for a full course Valentine’s Day meal! Hop into a vehicle from Hendrick Honda Bradenton in Bradenton, FL and head over to the store nearest you to pick up the items you need. We look forward to seeing you soon.